I shot and cut this promotional/interview video for Simon's Cat Ltd. and the publisher Canongate Books. I've been working on quite a few more 'corporate' video projects over the last couple of months, but most of these are 'secret' things that can't be shared. It's nice that the video work I make for Simon's Cat at least gets a decent airing. I wish Simon and his team continuing success. Here's another episode of the online series put together by Spider Eye for Hit Entertainment. In this episode Thomas travels to New Zealand. I made the motion graphics title sequence (first 20 seconds) for this web series. On this particular episode got to colour-in all the New Zealand backgrounds too. The product video I made recently for Nevion has just appeared on their YouTube channel. (see video embedded above.) Nevion Flashlink is an optical transfer system for sending multiple signals from one location to another in real-time. The client had the script written already, and I sourced the US male voice-over for them. For this video I built a simplified model of the product in Cinema 4D, then combined this with text and graphics I put-together in After Effects. Turnaround time for this kind of video is usually around three weeks. The Nevion team will be at the IBC show in Amsterdam this week, I wish them a successful and fruitful time at the exhibition. I've been using Maxon Cinema 4D for many of the corporate/web videos I've been making since I bought the software last year. I tend to make pretty simple 3D stuff to incorporate into these projects; learning just a little more about it each time I get to use it. I seem to be more interested in making 'graphical' work with it rather than photo-realistic stuff. As a family man and mortgagee I had to find an income somehow from my skills and experiences, so I started offering my services on a freelance basis to anyone who might value them. Job offers didn't exactly flood in, so I decided to start making calls, sending out emails and see if I could start generating some work. An 'explainer' film for FusePump to show how their BuyNow web marketing product works. An 8 minute documentary for Hali Publishing to accompany an exhibition of Ottoman era artworks showing at the Palazzo Lomellino gallery in Genoa. (Italian with Enflish over-titles). A promotional documentary for Simon's Cat Ltd. documenting a visit to the Cats Protection Charity Headquarters by Simon's Cat creator Simon Tofield. I made the 20 seconds motion graphics introduction now being used by Hit! Entertainment to brand all of their Thomas & Friends YouTube video content. Produced by Spider Eye. 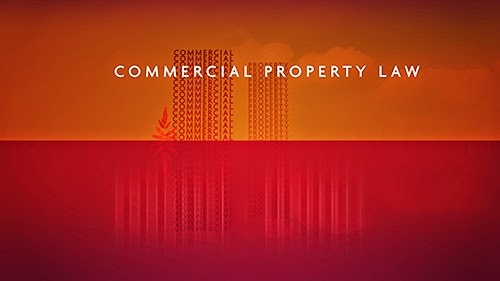 A longer 8 minute version of this motion graphics film plays on a continual loop at the headquarters of this legal firm. I made 4 product videos for this tech company producing studio equipment for the broadcast industry. .
More Photoshop background artwork made for Thomas & Friends. So if anybody out there is remotely interested, that's most of what I've been doing for the year since TANDEM closed down. Here's a newly-released episode in the Simon Draws series of videos I put-together for the Simon's Cat YouTube channel. We recorded Simon Tofield talking whilst he's drawing to make these entertaining tutorial-style videos. Simon draws these digitally using a Wacom tablet and Adobe Flash software. We captured his drawing performance directly using the Quicktime 'Screen Capture' option. The audio was recorded simultaneously using my Tascam DR07 mk II recorder and Rode VideomicPro microphone. The editing on these videos is pretty minimal; we combine the best takes and put these together on one 'page', then round the episodes off to a neat three minutes each. Although we use 'best takes' and cut-out unnecessary pauses, we don't speed-up the drawing footage, so these really do show what a talented artist Simon Tofield is. The music track was composed specifically for these by Russell Pay a.k.a 'Shrooty'. On the BBC Radio 4 Today programme this morning, the 70th anniversary of Reverend W. Awdry creating the first of his 'Railway Series' stories for children was featured. Growing-up as a child of the '70s, and something of a train-nerd, I loved these books, especially the rich and detailed illustrations. Long after I'd 'grown-up', Thomas the Tank Engine (and his friends) came to television and then became something of a merchandizing phenomenon too. And now Thomas comes to the interwebs. Commissioned by Hit Entertainment and Produced by Spider Eye Ltd. , a new series of 'comic book' episodes is now arriving at platform YouTube. I'm pleased to say I was asked to make the title sequence for this series (The first 20 seconds!) back in December and am now engaged in some background artworking for a few of the later episodes too. The first of the new webisodes 'Thomas Goes to New York' is online now, so I'm sharing a link to it here. My bit is the motion graphics title sequence up until 0:20. Happy Birthday Thomas (& Friends). 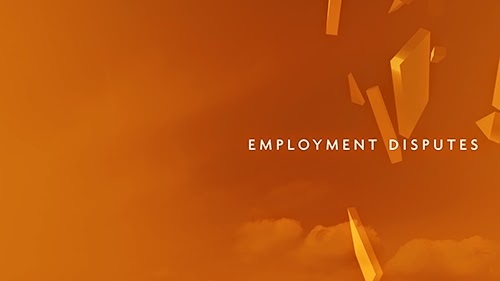 I'm proud to now reveal the four product videos I have just made for new client Nevion which the company have just published on their YouTube channel. It was also great to be working again with my old colleague Philip Pepper as my Agent/Producer on these. Nevion produces tech equipment for the TV & Broadcast industry. 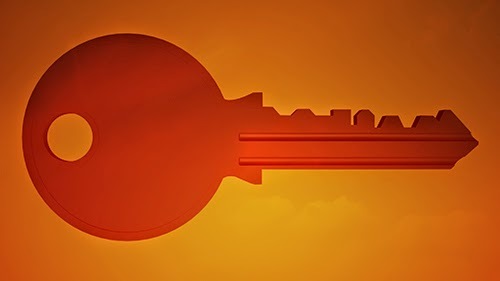 Nevion's innovative systems are used by content broadcasters worldwide to transport media streams from one location to another and to ensure the quality and reliability of such links. I was asked to make four product videos highlighting key features for three hardware products and one software product in the Nevion range. For these videos the client had already written the Voice-Over Script. I sourced suitable VO recordings, and meanwhile set-about storyboarding the visuals for each video. I presented the client with a fairly thorough storyboard for each video within the first four days of each production to enable discussion and feedback. I particularly enjoyed making these videos and always love the challenge of presenting complex or highly technical subject matter with maximum precision and clarity. The Nevion team are showing their products from their booth at the NAB Show for the TV industry in Las Vegas this week. I wish them an enjoyable and productive time at the show. Here's news (with a few stills) of a video project delivered for a new client. 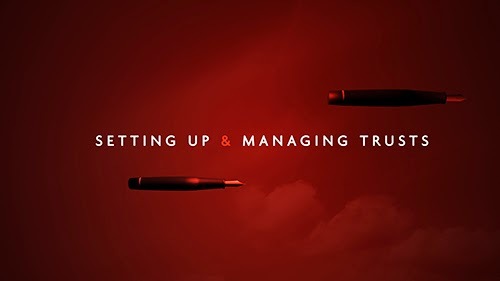 I have just completed a six minute motion graphics video for Enfield-based law firm Vanderpump & Sykes. Visitors to the firm's Windmill Hill office will be able to see the video running on a large HD screen situated in the firm's reception area. 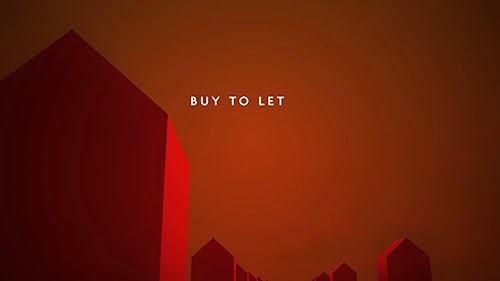 The video is 'modular' in form,comprising of nine sections presenting a menu of the extensive legal services and specialisms on offer. The video has been devised to run silently to maintain the serenity of the office environment. With a six minute running time, the video has been designed to loop seamlessly: the content can be run continuously throughout the working day. The animated typography is set in the 'Agenda' typeface. The warm and autumnal colour palette has been chosen to complement existing print and web material from the firm. I offer my video production services under my own name, trading as chrisgavin.com. I am available to work for agencies or clients directly and always very keen to take on new projects. Please email if you'd like to discuss developing video content for your business too. New Video for 'Sofreh: The Art of Persian Celebration' Book Launch event. I was very happy to be invited recently to attend the launch event for the new book 'Sofreh, The Art of Persian Celebration' held at the English Speaking Institute in Mayfair. Throughout January, I have been working on video content to be screened at the launch event and possibly other occasions in the future. I worked with the book's author Maryam Khosrowshahi and publisher (Hali Publishing Ltd.) to create two videos to play continuously for the guests. Sofreh is the art of table presentation for celebratory occasions and practiced in Iran and by Persian communities elsewhere around the world too. The book is presented in two sumptuously bound volumes; book one 'Nowruz' details Persian New Year celebrations whilst Book two 'Aqd' explores the use of Sofreh displays in Persian weddings. 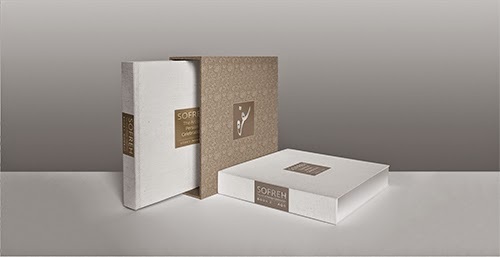 The book explores Sofreh as an artform, including detailed studies of its historical and cultural roles. Find out more about this fine publication at the book's website here. Simon's Cat 'Vet Visit' - Half a Million Hits! Here's the latest video I made for Simon's Cat Ltd. It was uploaded to the Simon's Cat YouTube channel just before Christmas and has clocked-up over 500,000 views already. In this video we follow Simon Tofield on a reserch visit to the UK headquarters of the Cats Protection charity in Sussex. 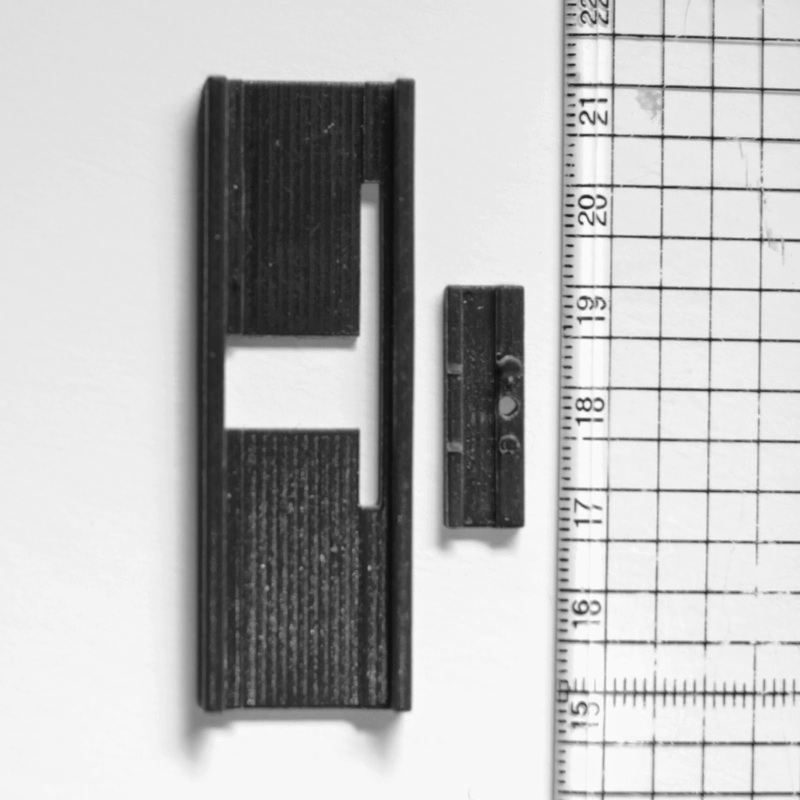 Further Adventures in 3D Printing: 16mm Film Scanner Parts. So a while back I spent a lot of my 'spare' time building a DIY Film-scanner for 're-photographing' the tiny frames of Super8 film. Suffice to say that now I'm starting to dabble with a 16mm film camera, I am ultimately going to want to digitize this larger film too. This could be a long and possibly fruitless endeavor, but I'm making a start on it. This time I'm thinking about making a film gate with a claw action to pull the film strip through one frame at a time. As before, I'll probably use my DSLR camera with some macro rings to re-photograph the frames as digital stills. First of all I found the specifactions for 16mm movie film online, here's the dimensions I am working with. Here's a first look at my prototype film gate mechanism. I'm designing this in Cinema 4D, outputting .stl files and sending these off to Shapeways to have them 3D printed from black 'detail' plastic. This version of the mechanism is made of 3 parts, a film channel (shown in yellow), a moving bar with two claw teeth (grey) and a top plate (green) to apply some downward pressure to the film. 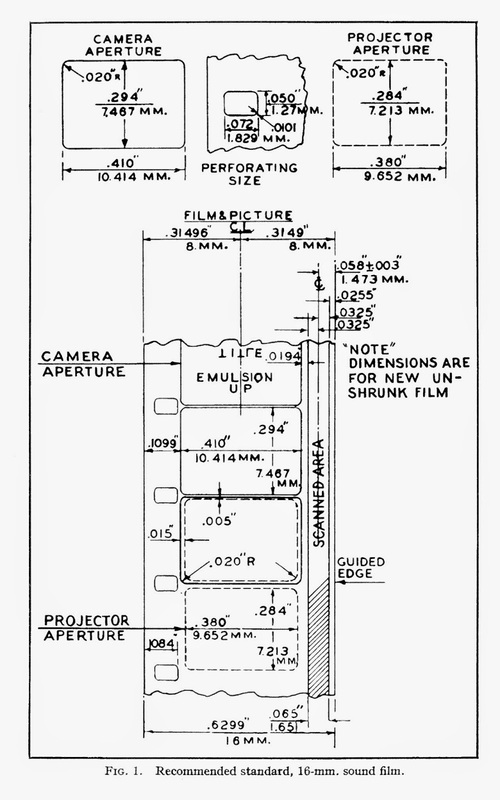 This is probably the simplest kind of mechanism to go for, although more complicated (and precise) mechanisms than this tend to be used in proper film equipment. I've already got the first couple of parts back from Shapeways (from a slightly earlier design), Here they are. These parts do seem to fit the film quite well which is encouraging. As I've found before, getting things 3D printed is very much an iterative process, you design, you make you test; then you do it all again... it's not exactly cheap either. I've now ordered some more parts to make the mechanism shown above, so maybe in a couple of weeks time when the parts come back I'll have a little more to show here.